Resellers are like limited administrator accounts. They can manage customers and subscriptions, but they can't access any of the server's admin features or create other resellers. 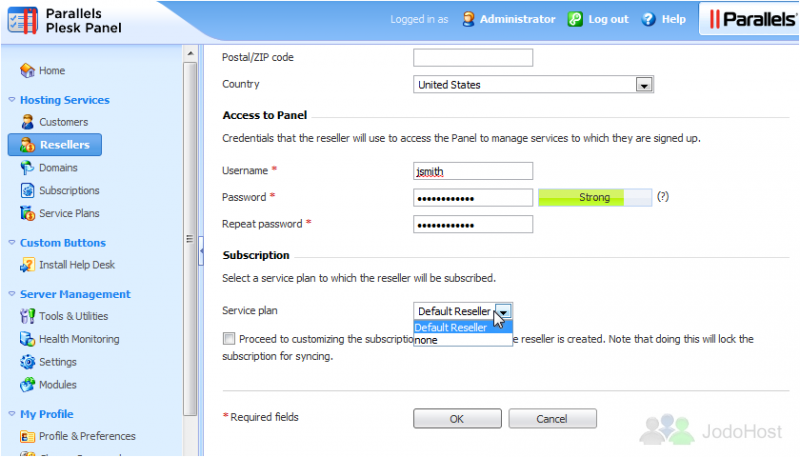 Like Customer accounts, Reseller accounts subscribe to your services. Resellers, however, can only be subscribed to one Reseller Plan at a time. 1) Go to Resellers to begin creating a new one. Then, click Add New Reseller. 2) Enter the basic contact information here. 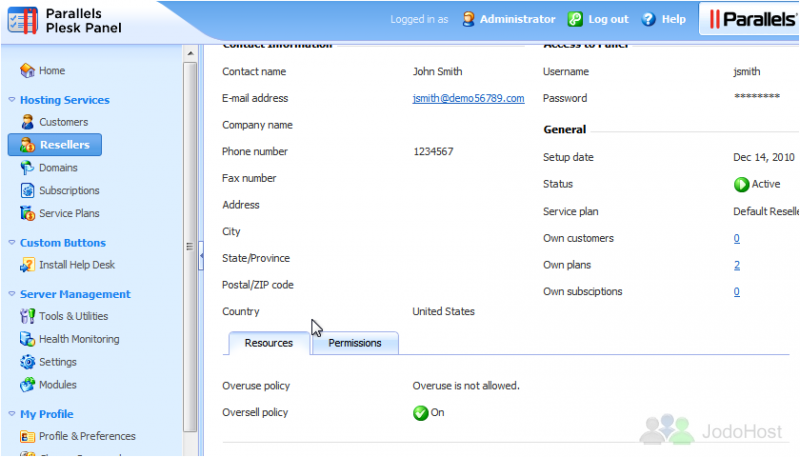 3) Type the credentials the reseller will use to log in to his account. 4) Select the service plan to use for this reseller. If you select "None", you will be given the opportunity to create a completely custom set of resources and services instead. 6) The new reseller has been created successfully. 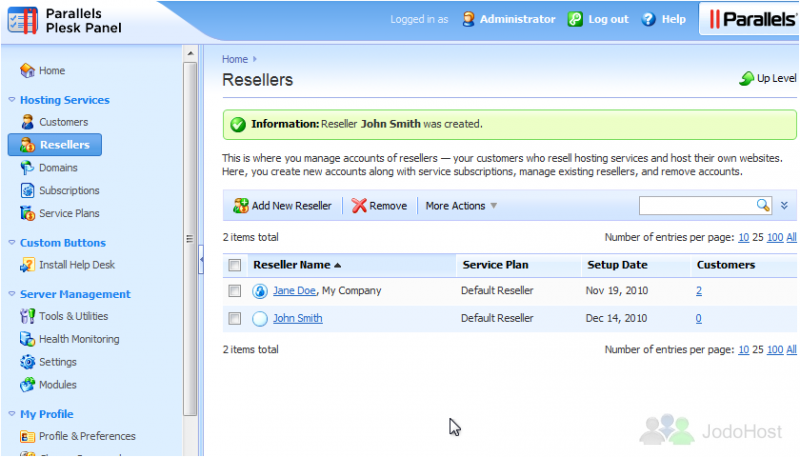 To manage a reseller, click the name of the reseller you want to manage. 7) Use Change Plan to switch this reseller to a different plan. Click Customize to make custom changes that apply only to this reseller. 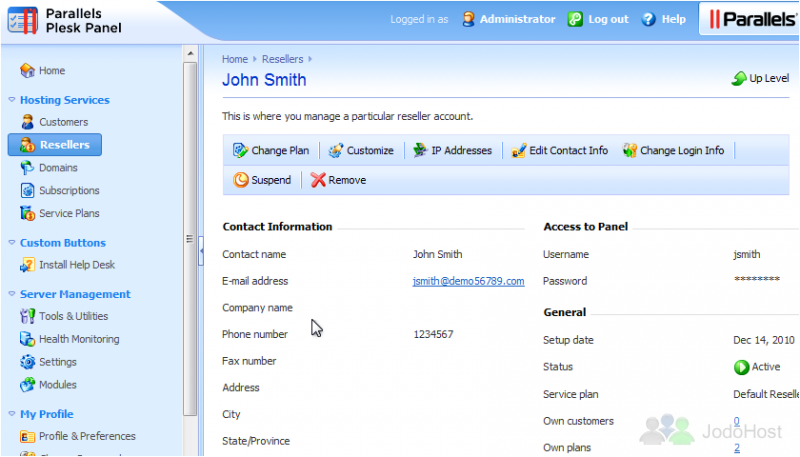 Edit Contact Info and Change Login Info can be used to modify the info we entered when creating this reseller. 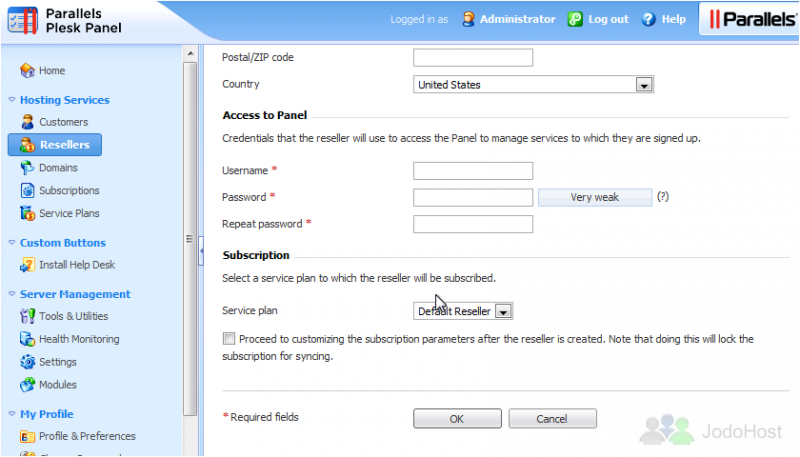 And then, of course, you can Suspend or Remove this reseller and all its associated customers and subscriptions. 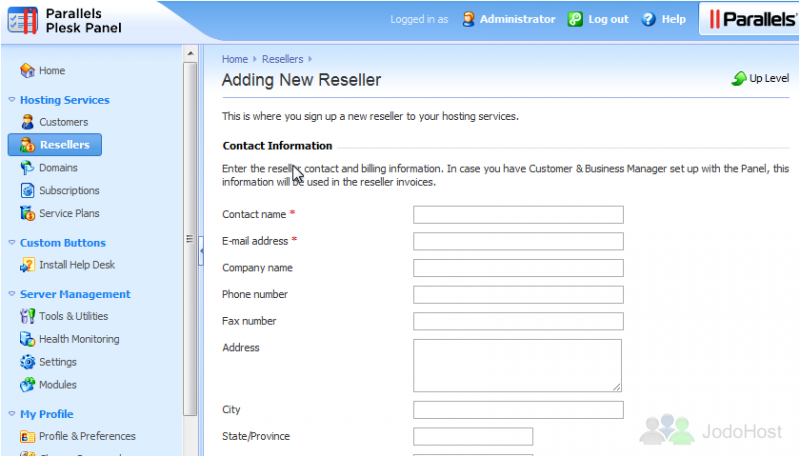 To see a list of this reseller's customers, plans, and subscriptions, use the links to the right. You'll be taken to the appropriate interface for each of these, but Plesk will have filtered out anything not belonging to this reseller. That's it! 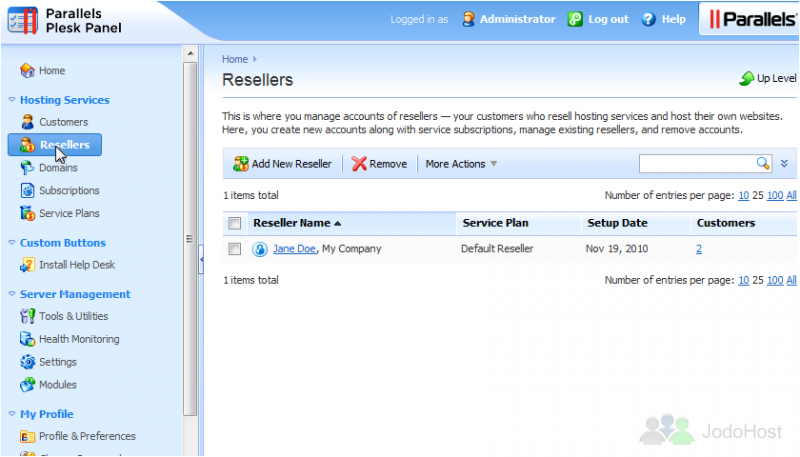 Now you know how to create and manage resellers in Plesk.